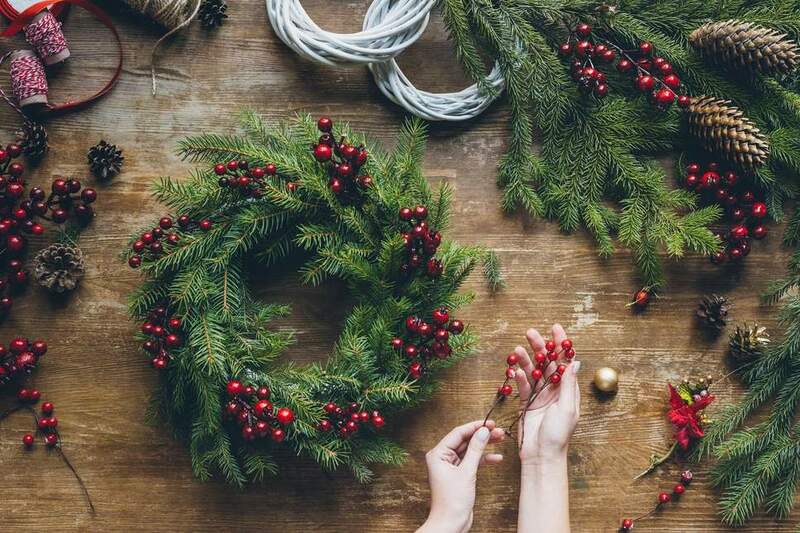 Come along and learn how to make your very own bespoke Christmas wreath, at a workshop run by our talented volunteer and florist Anne Brown. All materials will be supplied and you should walk away with a beautiful wreath to adorn your front door this Christmas. Just bring along some scissors or secateurs. Tickets for the workshop cost £25 and include a glass of mulled wine / soft drink and a mince pie. You can book your place at the library desk during normal opening hours. All proceeds from this event will be donated to NSPCC. Two workshops are taking place on Wednesday 5th December between 7.00pm and 9.00pm. Places are limited to 10 per session so don’t leave it too late to book on!